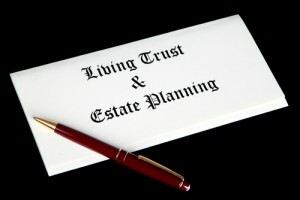 When planning for the future, people can develop various types of trusts, depending on their wishes and needs. Here’s a look at some of the more common types of trusts. Whether the individual developing the trust wants to take advantage of certain tax breaks. Given that there are various types of trusts available, in this three-part blog, we will take a closer look at some of the most common types of trusts and explain the benefits of each. Keep in mind that the discussion herein has been provided as a general overview and that you can easily obtain more specific info and professional legal advice regarding trusts by contacting the Denver trust attorneys at JR Phillips & Associates, PC. Also referred to as living trusts, these types of trusts essentially permits the trustmakers (i.e., the individuals who are developing the trusts) to be able to make changes to the stipulations of the trusts at any point in the future. For example, while trustmakers will be able to remove property from revocable trusts if they choose to do so, they may also be able to change the named beneficiaries of living trusts. The assets owned by these trusts may be still accessible to creditors (if the estate is in debt upon the passing of the trustmaker). These types of trusts, which are the counterpart to revocable trusts, cannot be changed or amended once they have been put into effect. What this specifically means is that, as soon as an irrevocable trust has been legally authorized, a trustmaker will no longer have the power to remove the assets of the trust, alter the trust’s beneficiaries or make any other changes to the rules or nature of the irrevocable trust. For our continued discussion of types of trusts and their specific benefits, be sure to check out the upcoming second and third parts of this blog. When you are ready to set up a trust and proceed with estate planning for your future, you can turn to the trust lawyers at JR Phillips & Associates, PC. We provide a thoughtful, comprehensive approach to our clients’ estate planning needs, and we take pride in helping each of our clients and their families find the best solutions for them. Let’s talk about your options for devising trusts during an initial consultation. To schedule this meeting, call us at (303) 741-2400 or email us using the contact form at the top of this page.